Happy New Year! We hope that your new year’s resolutions involve making more memories with friends and family by your swimming oasis. Before we dive into 2018 – let’s look back on some of the best ASP moments of 2017. ASP – America’s Swimming Pool Company is continuing to go from Good to GREAT, made possible through the efforts of each location that provide best-in-class service to their customers. Watch now. ASP began as a one-man operation and has quickly developed a reputation as the “best of the best” in the swimming pool service industry. Read more. 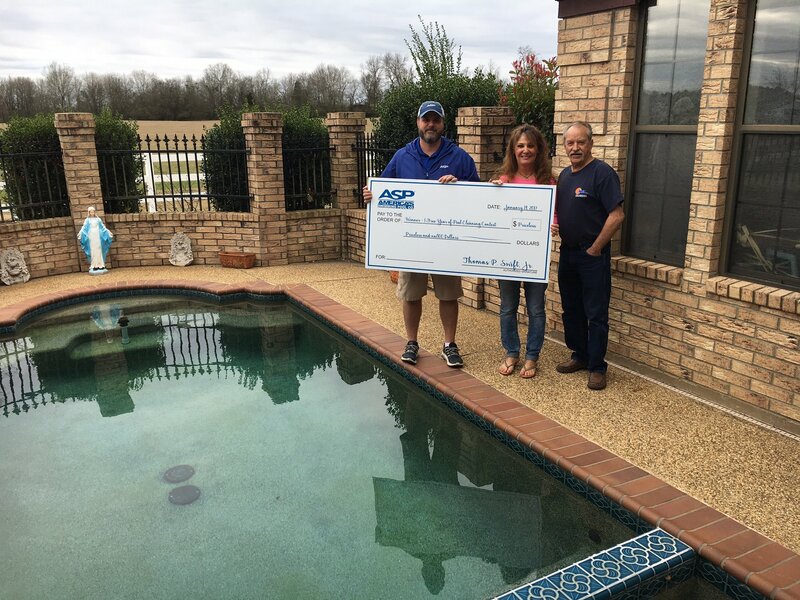 The Prince family was overjoyed as ASP presented them with a check for 1-year of free pool cleaning by winning our yearly ASP Free Clean contest. 17 new ASP locations opened in Florida, Georgia, South Carolina, North Carolina, Virginia, Tennessee, Mississippi, and Texas! Learn more. ASP pool cleaning experts across the nation are interviewed to give advice and tips on how to protect yourself and other swimmers from germs or injury around the swimming pool and hot tub. Read more. 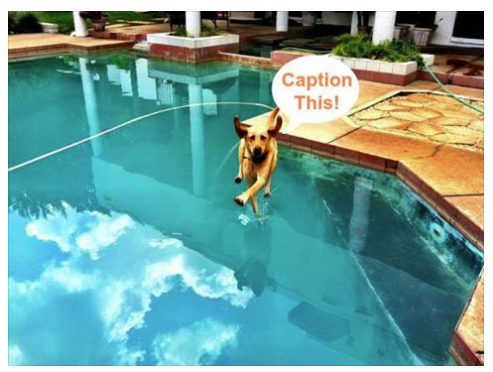 Facebook “Caption This” contests became a hit in 2017! Each holiday, Facebook followers are asked to give their funniest photo caption on the contest post for a chance to win a $200 Visa gift card. Visit the corporate Facebook page. 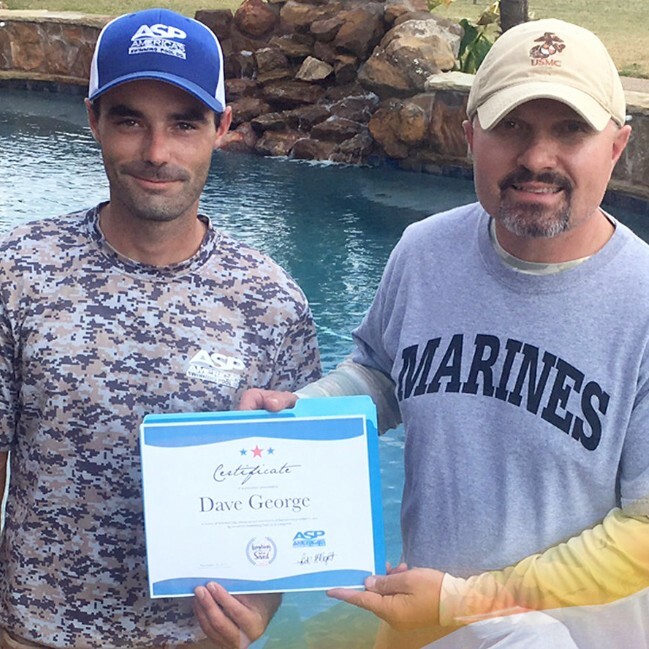 Brad Baglio, an Army veteran, competed against dozens of other military veterans nationwide to win the 2016 ASP Veteran Program. He became the 17th veteran to join the ASP franchise family when he launched his Bell County, Texas location on May 15th. Read more. ASP professionals share storm preparation tips and are recognized for their community clean-up efforts during the hurricane season. Read more. On Veterans Day, ASP launched an #ASPHonorsHeroes social media campaign as a way to say thank you and to connect with military service members and their families. (Picture: ASP maintenance tech presenting a certificate of appreciation for one month of free service to customer & retired marine.) Read more.